Is Insurance Higher on Red Cars (Or Any Other Color)? Studies have shown that red cars and yellow cars are involved in more accidents than their blue, green, white or black counterparts. In addition, it is a fact that, on average, drivers of red cars pay higher car insurance rates - but does that mean that all yellow and red car owners pay higher insurance rates? The short answer: no. 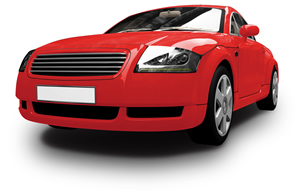 Car insurance companies do not take a car's paint color into account when determining premiums. In fact, your vehicle identification number (VIN) doesn't even have a car color associated with it, which means that your insurance provider actually has no idea what color your car is at all. Surprisingly, the owners of red and yellow cars, trucks, SUVs (or any vehicle, really) still pay higher insurance rates. So how can both be true? Well, it turns out it isn't the color of the car that matters, but rather the driver of the car. Some people are perfectly safe drivers of perfectly safe red economy or compact cars; others still operate their yellow trucks or SUVs within the letter of the law. In both cases, these people pay low car insurance rates. On the other end of the scale exists the owner of the red sports car, or convertible, or any other body style considered to be "more expensive" - thse people pay the same car insurance rates as equally safe drivers of blue or gold sports cars, convertibles, and so on. Are you starting to see a pattern? The issue isn't the color of the car, it's the type of car (a greater percentage of sports cars are red than any other color; the same applies to yellow trucks and SUVs), and the type of driver (aggressive drivers are more likely to prefer red, yellow, or other flashy colors) when the two are combined. So it is true that, if you compared the car insurance rates of every red car driver and every blue car driver, the red car drivers would be paying more, but only because the drivers of flashy-colored cars are themselves more likely to engage in risky driving practices. When you remove the risky driver with the speed-racer attitude from the equation, the cost of insuring any red/yellow car compared to a black, white, green or blue car would be exacly the same.